As a member of our franchise network, you can fulfill your ambitions while creating a business of lasting value and a legacy for your family. "Apricot Lane has a unique system that just makes sense, plus the selection and variety of what people want to shop for." 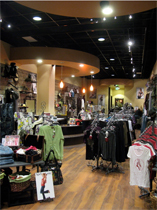 Apricot Lane is THE only Specialty Retail Franchise that combines opportunities from the Gift and Fashion Accessory Industries to offer affordable fashion jewelry, handbags, accessories and gifts in the styles and trends customers are looking for. Apricot Lane is perfect for the fashion-conscious customer shopping for herself, or for anyone looking for a unique gift for a friend or loved one. 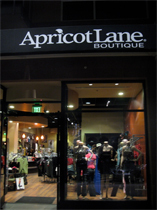 Apricot Lane is the destination to enjoy a complete shopping experience. Click on Request Information for FREE info on how to open a Apricot Lane franchise today! Please Note: This Apricot Lane franchise opportunity and other franchise business opportunities, businesses and franchises for sale on this web site are not to be considered as an "offering", "franchise offering", suggestion or recommendation by Franchise Leader™. This advertisement depends entirely on the truthfulness of the information provided by our advertisers which includes, but is not limited to, franchisers, franchise brokers, franchise consultants and business brokers. Franchise Leader™ recommends that you consult a lawyer, financial consultant, accountant or professional advisor before buying a franchise or business opportunity or any type of business. By using this form or any part of our website, you have agreed to all terms and conditions of Franchise Leader™. Please review our Terms & Conditions for more information.